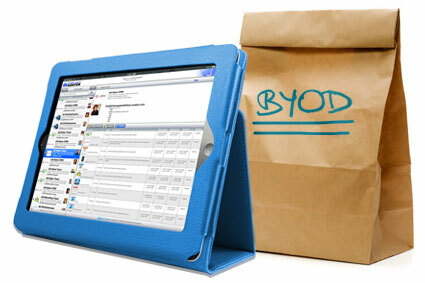 BYOD (bring your own device) isn’t just a trend; it’s the future of education. For schools, BYOD is a program implemented by the school or school district allowing students and staff to use personal mobile devices on their school wireless network. Today’s generation is a bunch of gadget loving, tech-savvy kids. Students already have laptops, smart phones, and tablets. Schools are recognizing how technology can enhance learning and working. So, why not embrace this readily available technology that they already absolutely adore? With the increasingly shrinking educational budgets, it’s no surprise so many schools are implementing BYOD solutions. It’s all about accessibility, affordability, and engaging today’s youth. With the consistent increase in online testing, unfailing student demands for it and advent of new styles of teaching that support BYOD, it makes sense more and more schools are implementing BYOD solutions. It’s spreading in every industry particularly education. 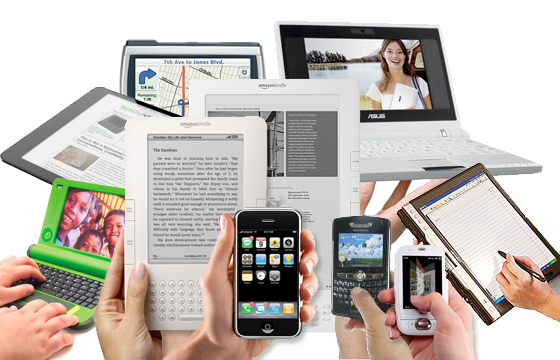 Gartner has predicted BYOD as being the top trend this year, with mobile devices surpassing PCs as the most common Web access tool. With more and more organizations implementing BYOD and the fact that it’s been predicted that by 2016, 40% of the workforce will be mobile, it makes sense for schools to implement BYOD programs. The goal of education is to prepare students for their future careers. -Sometimes students get curious. They want to push the boundaries just to see if they can. If schools don’t plan their BYOD strategy properly, they could run into issues struggling to keep students from accessing things on the internal server. -Bringing all of those devices online without touching each device or handing out a pre-shared key. Your students are not going to allow IT to put their hands on their beloved mobile devices to program settings. Mobile device management can solve this issue. -Not knowing who is doing what on the school wireless network. The network needs to be intelligent enough to know who is doing what. -Students stay engaged and take control of their own learning. -The personal devices students and staff use tend to be more cutting edge, so schools can more easily stay up-to-date with technology. - BYOD allows student & teacher to swap roles. - Teachers can use certain apps to be more connected with students and parents than ever before. -With BYOD, schools can concentrate funding on the students who need it, maybe providing an iPad leasing program instead of trying to provide technology to the entire school. - BYOD allows more opportunities for more personalized learning where students can excel at their own pace. - Gives the students limitless access to information and resources. - Students may be more easily distracted while working on their own mobile devices. - Some teacher may resist teaching with technology. - It can be more challenging for an IT department to manage the bandwidth required to ensure all devices are connected and running smoothly. - All these mobile devices can overload your wireless network if your school wireless network isn’t properly designed and prepared to support BYOD. - BYOD possibly opens up the opportunity for cheating. If you have any questions about BYOD and whether or not implementing this solution is the right move for your school, contact us here. At SecurEdge, we specialize in building completely secure wireless networks for BYOD, and we have helped schools all over the US implement BYOD on their school wireless networks. We are always happy to answer any of your questions and help in any way we can. Good luck!